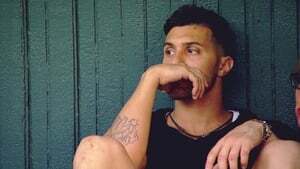 On “Real World: Skeletons,” seven strangers will move in together per the show’s typical formula, but soon, shared chores and shower schedules will prove to be the least of their worries as a brand-new twist comes into play: They’ll each be forced to confront the last person on Earth (or sometimes, the last people) they want to see. When the roommates clash with Madison, she reveals a haunting secret; Bruno and Sylvia's romance is jeopardized by jealousy. Tension between the housemates rises over wild parties and scandalous hookups; a battle between Jason and Violetta results in the revelation of another secret. Sylvia loses her temper; Violetta deals with an unwelcome visitor. The first Skeleton ambushes the roommates; Sylvia's past returns to haunt her; Tony and Madison restart their romance. Tony is shocked when two of his Skeletons move in, creating a battle for his affection between them and Madison. Tony's attempts at playing three women backfires with them sharing a home; Violetta's conflict with Madison turns physical. Seven strangers move into an old nightclub turned fabulous urban loft in Chicago's West Loop, looking forward to high times in the Windy City -- leaving their hometowns behind. Episode 9 - Where's the Beef? Bruno's estranged brother, who he has not spoken to in three years, visits, and the roommates witness Bruno's temper. After a confrontation between Jason and Nicole, Jason faces the final, and largest skeleton; the roommates' time in Chicago comes to an end.